Its with profound sadness that we announce the unexpected passing of Christianne (Chrissy) Rose Stone, 48, of Springhill on March 26th. She died how she lived; surrounded by her family and a team of dedicated health care professionals. From the bottom of our hearts the family thanks the staff at the Amherst hospital for their service. 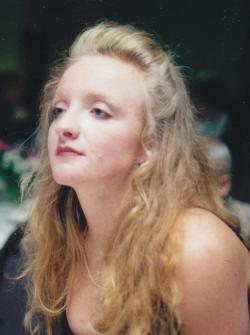 Chrissy was a graduate of Springhill High School and Saint Martha's Hospital nursing college in Antigonish. She was an emergency room registered nurse for many years at Cary Medical Centre in Caribou, Maine and All Saint's Springhill Hospital. Chrissy helped save many lives throughout her career and once saved two children drowning in a lake despite suffering from a severely broken leg. We will miss her sharp wit and sarcasm, her generosity, and her infectious laugh. We will miss her determination and her grace under pressure. We will miss warm summer days with her telling stories and cracking jokes at her cottage at Cameron's Beach. Chrissy is survived by her husband, Philip Stone, parents Fred and Lois Miller, brother Drew Miller, and her beloved dogs Daisy and Mo. Arrangements are under the care and direction of A.H. Brown Funeral Home, 5 McFarlane St., Springhill, NS (902-597-2361). As per her wishes there will be no service but a burial will take place later in the spring. In lieu of flowers donations may be made to the LA Animal Shelter. Sharing of memories and condolences may be sent to the family by visiting Chrissy's online memorial at www.brownsfuneralhome.com or through the A H Brown Funeral Home Facebook Page.